ONE OF THE THINGS THAT'S BEEN BOTHERING ME MOST IN THE BLOGWORLD LATELY IS THE LACK OF HONEST AND PERSONAL POSTS. Not too long ago I was going through the blogs I follow, I found myself pointing fingers at certain bloggers who had/were moving away from the personal posts. And I found myself unfollowing them because those are the kinds of posts I enjoy most. But then when I was going through my posts, I realized that I was guilty of following that trend, too. I don't blame anyone for moving away from the raw hearty posts. After all, they take guts, not to mention the time it takes to write them out. But while it may be harder to write, I want to push myself to go back to my roots every now and then. I want to write from my heart, even if it hurts, seems repetitive, or boring. SO WHAT IS MY HEART FEELING RIGHT NOW? My heart feels all the feelings right now. Not to put myself on a pedestal, but I've been focusing most of my energy right now on God and how I can challenge myself in my faith, work, and life in general. I have this odd desire to grow and change and have been focusing on ways to do that. I've been thinking less and less about relationships (less does not equal not at all, however, because let's face it, there are times when I just waaaaant a man, haha). I've also found myself really challenged in how much I believe. I've realized just how small my faith is. And how much more room I have to grow. I won't even get into the craziness that is work right now. Between paperwork, long days at work, and such, work is crazytown right now. But it's a good crazy, especially with such an awesome team of people I get to work with. I've also been doing a lot of dreaming. Thinking about where/what I want to teach in the upcoming years. Where I want to be. The people/places I want to photograph. The people I want to meet and visit. The things I want to do. I've started to actually live as opposed to waiting for a relationship or a job or an education. And am actually walking the walk and not just talking the talk. So that's where my heart is right now. Where is YOUR heart right now? Are you a fan of the hearty posts? Do you have a hard time writing/publishing them to your blog? Well as you know, I much prefer those posts to the Just-another-boring-product-review posts and the likes. I don't write much of the hearty posts myself really, but I do post about real life stuff. My hearty stuff is quite uninteresting to other people. But it's mainly about frustration over our staff situation at work, worries about the future of the healthcare in Sweden, since new nurses choose to not work in a hospital, and that I really want/need to spend more time with God. I think it's great that you're focusing on living your life as it is right now, it's so easy to just wait for a man to come into your life, or until you have this or that. Life is there to be lived. I'm not good at that myself, but at least better now when I have the best job I've ever had, plus husband, house, etc. Nice post :) I hope i infuse enough heart into each post to keep my readers satisfied but i don't know, after reading this you've given me something to think about. I think you're right in having a mix of both. Not all personal stories have to be "heavy" but most of the time they are and so having that mix helps the reader and the author to feel that weight lift sometimes! I got this last year in November. 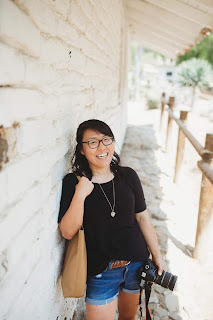 After attempting to change the look of my blog over about a year and half - trying to make sure the aesthetics were just right, I finally realized the reason I was struggling and continually pouring so much money into the blog was because I was hyper-focused on the outside and not the inside - of me. And since I've been writing more authentically and boldly, I am enjoying it more. The content is coming more easily and I am finding myself with more interest in the blog. It has made a tremendous difference. Eager to follow along as you dig down back into your roots! 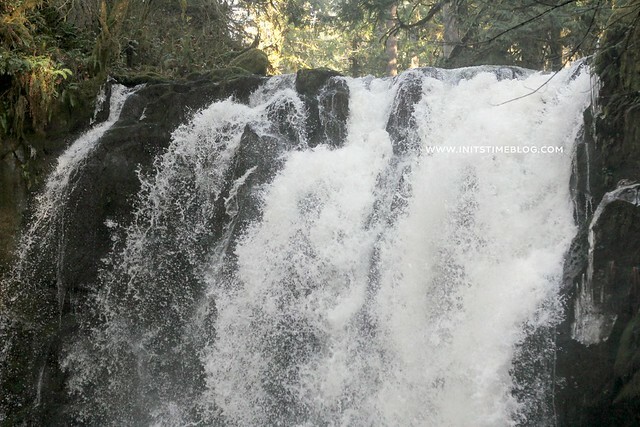 I don't feel like I have a hard time sharing real posts on my blog. I guess what I like is posting stories of specific events or moments. That's why I've never been a fan of weekend recap posts, because they always feel like a list of things rather than taking the time to talk about one or two special moments that happened. And if there isn't anything special that happened, then what exactly are you recapping? I actually have noticed that there are a lot of bloggers who don't post very much about their real life. It's more "5 Ways to Do Such and Such" or "Favorite Recipe" things. I find myself realizing that I don't really know much about them even though I read their blog every day. Everyone needs to blog about what they want, but as a reader we can choose to unfollow if we want to. But like Robyn said, I do like to mix it up with "real life" posts and just funny things. And I want to talk about my faith some too, but I try to space those out between all the rest. I like both. I think you have to have a balance. I am careful on how much I share because of my husband's work but I don't think there is anything wrong with sharing your heart. We all need encouragement and we can encourage others when they are hurting or struggling. So keep writing. We've all been going wayyyy overboard with link ups lately. Or maybe it's just me. All that to say, I've noticed the shift too! I love hearty posts. It's why I read blogs and why I got into blogging. :) Keep them coming!!! I love that you're dreaming and LIVING and really seeking God right now! That's the best place to be, especially now. I really believe that our 20's are the years that we become who we're going to be and set patterns for the rest of our lives. Obviously, change is never impossible, but I think we are really good at getting all set in our ways! On my heart...Sort of the same things. I'm still trying to figure out what life should look like and which risks won't come with devastating consequences if they don't pan out. You know? Part of the reason I fell in love with blogging was reading everyone's stories. Their real life, nitty-gritty stories. These kinds of stories open us up to encourage someone through writing and on the other end as a reader to encourage the writer. Living instead of waiting! Yes! It's so easy to focus so much on the future that you start to forget to enjoy the present. I've definitely struggled with that before, but I've gotten better about it in recent years. Agreeeeed. I think it's easy to create content that is "fluff" because sharing the hearty stuff is scary (which is why I tend to shy away from talking about it in person!). But I also think that there needs to be a balance between the hearty and the light-hearted, and that's something I'm really trying to get a hang of right now! Agreed. A mix of the light-hearted and hearty is a must! We need a balance of content, that's for sure! And I'm also glad to hear that you're enjoying the bold and authentic posts that you write! Those always are the best ones to write AND read in my opinion--especially if you can sense the enthusiasm and passion behind it (which I can in you just with this comment!). Balance is definitely key. I think Robyn made a really good point about mixing up the light-hearted content and the hearty personal posts. That's something that I've always tried to do, but I've realized that I've been straying away from that more and more as of late. And I'm SO glad you noticed that trend for recipes and "5 tips for ___" kinds of posts! I thought I was the only one! And I love what you said about weekend recap posts, too. I actually used to write those but stopped a few years back because I really liked focusing on the little moments or the single events like you mentioned. I think we're turning more and more into blogging twins or something!! I think you're 100% right. I think balance is everything. I've always sort of tried to balance the hearty posts with the light-hearted but have realized that I've been straying away from focusing on the balance part lately, if that makes any sense! And I love what you said about needing encouragement and needing to encourage others--I agree with you on that, too! I love the personal posts too! I feel like I haven't written one in a while and I really should do that! Wow, haha, I just posted something like this this morning. My blog is not mine anymore -- it's God's. Great post!! I haven't written many posts lately, but I've noticed others in the blog world straying from authenticity too. It can be frustrating, but I do get it. Couldn't have said it better. I completely agree with you on the larger blogs turning to content that they can share on social media. I get that that is important for a lot of bloggers, but I think that you lose a certain amount of personal connection if you go that route. DO IT! :) But seriously, I know exactly how you're feeling. I definitely shy away from sharing a lot about my life in day-to-day conversations because that's just not the kind of person I am. But writing my first singleness post a few years ago, I started to realize that those were the posts that I gained the most encouragement and wisdom from. So it's hard (I get it, trust me! ), but worth it! And don't worry about the words you say because when it comes from the heart, that's all that matters!! Definitely a fan of the hearty posts because there is such raw honesty in them - when your blog is a "blog" because its yours and about you - its GOT to (for me) have YOU all over the page AND in the posts! Because for me, I'm not there to check if you've linked up to something this week or every week or if you are the craftiest person or even if you are not (and of course these things i don't mind!) - its just that i'm there to learn about you. It makes it more personal - especially when at the root of it all is a faith filled person! But its definitely something which makes me enjoy these spaces more! Honesty and heartiness - it doesn't have to be super heavy or always like that but its definitely something that keeps me reading my favourite bloggers posts! but i've been lacking them too - i think sometimes we guard ourselves to protect from the drama that can come with a personal post - and other times i think we're still processing how to best express what we're feeling. keep living. keep moving. keep seeing what doors God opens for you. big big things are in store, of that i am SURE! Yes, yes, and yes. I definitely guard myself from writing personal posts because it forces me to really face them and have to deal with them. And here's to living! It's still something that I have yet to master, but something I want to get better at!!! 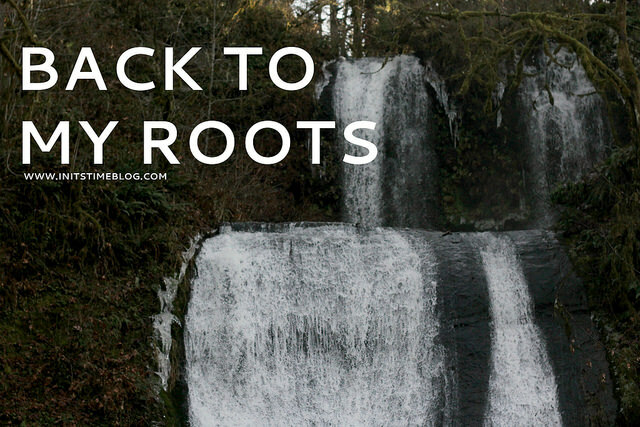 I absolutely love the idea of "going back to your roots" because that's exactly where I'm at right now. I'm so glad to return to blogging and my "roots" when it comes to writing. I'm working on trying my best to create a real, raw, and fun space with my new blog. Glad you're here to do it with me! Honestly, I think we all need a refresher when it comes to our blogs and we need to remind ourselves of why we first started blogging. Excited to see you're back!! !